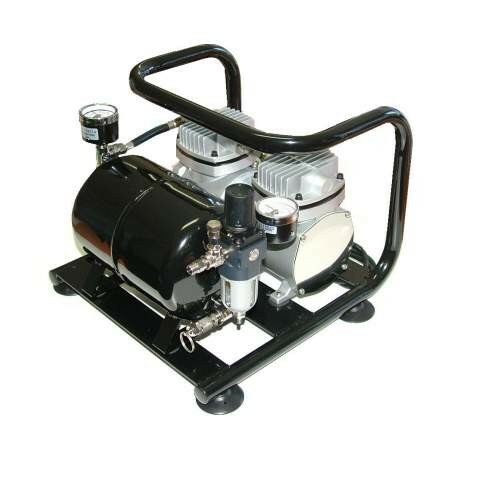 A twin cylinder Auto-Stop 1cfm Compressor, which will more than meet the demands of most airbrush artists. At just 7.8 kgs, with a 2.5 Litre tank it is very portable. Oil less and quiet running, it's a compressor for the serious airbrush artist. Comes complete with pressure regulator, gauges, safety release valve, moisture trap and hoses, ready to connect to any airbrush.